New book, 461 pages. 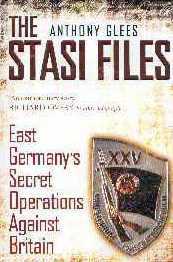 Relying on unique, genuine and previously unpublished archival material, and the fruit of five years painstaking research including interviews with those caught up in the Stasi's networks and those charged to counter them, this book gives a startling insight into how secret intelligence operations were planned and executed. Gripping and revelatory, it is a definitive account of Communist East Germany's spying in Britain.